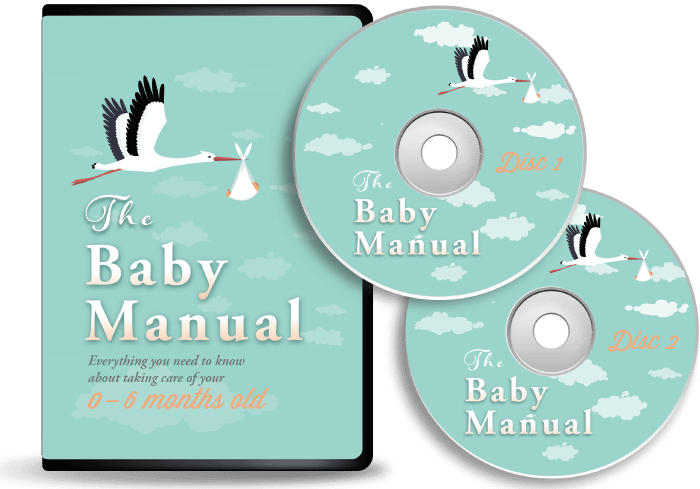 The Baby Manual™ is a revolutionary method of preparing today’s parents to thrive in parenthood. We combine video interviews with top baby care industry experts, visual step-by-step demonstrations, and real life stories from other parents. Taking care of a newborn is one of the hardest things you’ll ever do. Proper preparation, however, can make all the difference! We share science-backed advice from baby care coaches, pediatricians, lactation consultants, baby sleep specialists, infant CPR instructor, doulas, family counselors, childcare providers, and many others. This is not your typical “baby survival guide”. We teach you how to THRIVE on this amazing new adventure! With The Baby Manual, you’ll receive professional advice valued over $1,000. Not to mention all the money you’ll save by learning what baby gear is essential versus that which is completely unnecessary. All included in The Baby Manual! Watch a quick intro from our producer. So much to buy, so little space. Not to worry – you actually need a lot less than most “must have” lists would have you believe. You did it! You made it through delivery and are ready to head home. Now what? Yes, the first weeks home are amazing. And challenging. And full of surprises. Learning what to expect is the most important step in reducing the anxiety and making the most of this precious time. Breastfeeding can at times be more challenging that most of us expect. Learn how you can prepare in advance and avoid common mistakes that lead to pain and low milk supply. We’ll share feeding and time-saving tips and address societal pressures on those who aren’t breastfeeding. The most important part about dealing with a messy baby? Keep your sense of humor! We’ll share a few tricks that make this part of parenting a breeze. Babies cry – there is no way around it. However, there are many effective techniques that greatly reduce the amount of time they cry. Learn which common health concerns you will likely encounter with your newborn. While our CPR demonstration is not a complete course, it will give you an idea on what to do if your baby is chocking or becomes unconscious. Many babies sleep whenever and wherever… until they are 3 months old! That’s when consistent routine and timing are critical. Babies are a lot of work. But that doesn’t mean you can’t have a little fun too! The idea of leaving your precious baby with a stranger can be a major source of stress. With proper research and preparation, you will have the confidence in knowing that your little one is in good hands. Change in lifestyle that baby brings is inevitable. However, we can make the transition easier by anticipating some of the common stressors and learning how to deal with them. If I purchase The Baby Manual™ program, do I also need to read books and attend classes? No, The Baby Manual™ combines the best information you’ll find in books, classes, and online. We’ve done the homework for you and put together a truly comprehensive course that prepares you for all aspects of transition to parenthood. How is your program different from a baby care class at my hospital? We cover everything you may learn in a baby care class, but we offer several big advantages. All techniques we discuss are demonstrated with real babies. You can learn at your own pace, in the comfort of your own home. The information is easy to reference later – jump to any topic you need to review as your baby grows. The perspective and knowledge we offer comes from a variety of diverse experts and parents rather than one instructor. In many cases, we are significantly more cost effective too! When is the best time to start watching The Baby Manual™? We recommend starting at least 3 months prior to due date. This allows enough time to digest the information and plan ahead. It is important that you discuss what you learn – with your partner and/or other caregivers – so that everyone is on the same page on what’s to come. Is The Baby Manual™ meant primarily for moms? Not at all! In fact, The Baby Manual™ was co-created by a dad who wanted to be involved, but couldn’t find parenting resources that appealed to men. Many couples enjoy making a movie night (or two…) out of The Baby Manual™, popcorn included! It can be a great bonding experience. Our program is also useful for grandparents, nannies, or any other caretakers that will help with the baby. There is already so much I have to buy for my baby, why should I spend money on this? Knowledge is power. How to soothe a baby that won’t stop crying in the middle of the night. How to get her to latch when she’s refusing to breastfeed. How to keep your sanity when you feel like your whole life is not your own anymore. Believe us, that kind of knowledge is worth much more than the latest gadget you see in a baby store. In fact, our program will pay for itself after you watch our Baby Gear chapter and learn all that you DON’T need to buy! All I care about is giving birth to a healthy baby, won’t I pick up the rest as I go? We get it, childbirth is scary and it’s all you can think about at this point. It may even feel presumptuous to look ahead to life with your little one. In all likelihood, everything will be just fine and you’ll deliver a happy bundle of joy. Then what? The sad reality is that parents get more education on how to operate a car than how to care for a tiny human being. While some things might come easy, most parents really struggle during the first few months. There is a reason you often hear them say that those are the toughest moments of their entire life! We are here to prove that it doesn’t have to be that way… But it starts with you being proactive and taking control over your journey. Aren’t all babies different? How do I know these techniques will work on mine? It’s true, all babies are unique in their temperament and personalities. However, they all share the same basic needs. Techniques we show you have been practiced across many different cultures for centuries because they really work on most babies. What time commitment does The Baby Manual™ program require? You know what they say about a picture being worth a thousand words. Well, a video is worth even more! It takes us a minute to show you what takes an entire chapter to describe. Still, our program is 4 hours long and for good reason. There is much to learn before you can feel confident in your new role. Though you can watch it all at once, we recommend breaking it up in smaller chunks that are easy to digest. Do you show in detail how to use all baby products? Yes and no. We don’t go into specific instructions for a particular brand. Those you can easily read on your own depending on what you choose to buy. We do use many common products for demonstrations throughout the movie, so you’ll have a very good idea on how to operate them. How comprehensive is your CPR section? Should I attend a CPR class separately? Our infant CPR chapter is taught by a certified CPR instructor and gives an overview on what to do if your baby is unconscious, choking, or having a seizure. It is not meant to replace a general CPR certification course that takes an entire day and goes into a lot more detail. If you have never taken a complete CPR class before, we recommend that you reach out to your local provider to learn the skills that can one day save a life. There is so much conflicting information on parenting, how do you decide what to listen to? Listen to your gut. Intuition is your biggest tool when it comes to parenting. If something doesn’t feel right, don’t do it. Filter what you read and hear. Question the so-called “experts” that are all over the internet. Question us! At the end of the day, you need to be ok with the decisions YOU make for your baby and yourself. I have to return to work after maternity leave. Will The Baby Manual™ apply to me? Absolutely. We understand the reality of modern day. Some families cannot afford to stay home with the baby. Others want more balance with home life and career. Whatever you decide, we’ve got you covered! We have an entire chapter dedicated to giving you a piece of mind when you return back to work. Our baby was born a month ago, is it too late to watch The Baby Manual™? Not at all. You may no longer need the info on the basics, such as changing the diaper or giving a bath. But that’s a small fraction of what we cover. In fact, many of our customers discover The Baby Manual™ when faced with an issue several weeks after birth. We often hear from parents who have had a baby (or two!) before and yet they still find The Baby Manual™ incredibly helpful. Is The Baby Manual™ covered by my health insurance? Unfortunately, not at this time. However, we are working with several insurance companies to make The Baby Manual™ program accessible to all families expecting their first baby. Can I purchase any of the chapters separately? Yes! By popular request, our Breastfeeding and Healthy Sleep chapters are available for purchase separately in our Store. What if I simply don’t like it? Not a problem. We have a Risk-Free Empowerment Guarantee that allows you to return the video program within 30 days for a full refund of your purchase price. If you do not feel more confident, well informed, better equipped, and fully prepared to thrive in parenthood after watching The Baby Manual™, we will refund your money. There really is nothing to lose and everything to gain! Industry knowledge. Passion to help. Years of experience as parents! Watch an entire "Early Weeks" chapter online for FREE and discover for yourself why The Baby Manual™ is a must-have for every new parent!